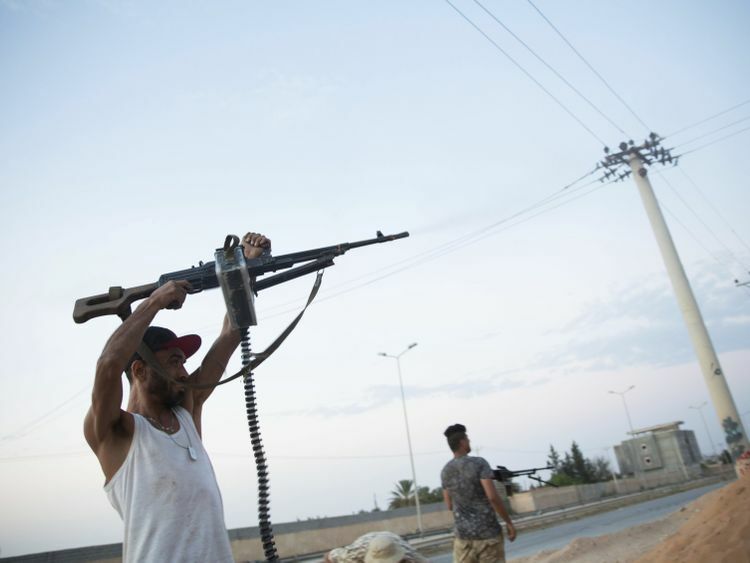 United Nations: United Nations Security Council diplomats began negotiations Tuesday on a British-drafted resolution that would demand an immediate ceasefire in Libya after the Libyan National Army under commander Khalifa Haftar launched an offensive on Tripoli. A rocket attack on the city killed two people and injured four on Tuesday. Haftar, seen by his allies Egypt and Russia as a bulwark against Islamists, has declared he wants to seize the capital, now controlled by a UN-recognized government and an array of militias. Russia and France, two permanent council members, have praised Haftar’s battlefield successes in defeating Libyan armed groups aligned with Daesh in the south of the country.